In which a young woman, faced with the economic and social collapse of her society struggles to find a way to stay afloat. 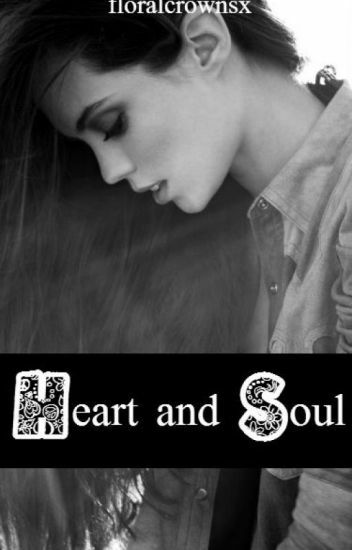 A fanfiction for Margaret Atwood's story "The Heart Goes Last". Hey y'all my name is Rebel Lee O'Hara. I am 16 years old and I live in Augustine Alabama. I attend Augustine high school with my best friends Skyler Smyth, Matthew Styne, Annalisa Baker and her brother Travis. I live on an old plantation with my mom Mary, my father Tristan O'Hara the second, my brother Colton who is 14, and my brother Tristan O'Hara the third who is 17. Rebel Lee O'hara is a real southern belle. She has a rebellious streak, she gets it from her mother no doubt. Together Rebel and her friends escape the drama that each of their families have to offer. Rebel's family isn't as perfect as it seems. Her mother and father  understand their daughter's wilder, tomboyish side. However her grandparents, not so much. As if your grandparents constantly questioning your Mama and Daddy's parenting isn't enough, soon she'll find that her family has secrets that could really come back to bite them all. With all that weight on her shoulders, high school seems to be her only relief. Selected by Margaret Atwood for the 2012 Atty Award. (The cover photo is a detail from the painting "Eine kleine Nachtmusik" by Dorthea Tanning. Tate Collection, London). You are free to edit or change my snippets to add into your book but please say that your book or your the part of the book with my snippets was inspired by my snippets here! Why am I not writing a book each for all these ideas is because I may have writer's block and thus... I'll be unable to to give the story an ending. 虎头蛇尾，you get it? And maybe one day I'll take my ideas here, combine them together and write a new book! I've seen too many uncompleted works here on Wattpad and I don't wanna add to that list! If you have ideas but you can't explain or write it out in words feel free to comment me your ideas in my book or just message me and I'll try to write a snippet out of it so you can use it! I may not succeed at every try though, keep that in mind! My updates may not be so often though 'cause I'm rather lazy nowadays I just read. And these book ideas are probably quite cliche so really I'll leave the decision to you to whether you want to use mine or not. In a ruined world based loosely on our own, the surface is haunted by deadly, masked soldiers, left behind from the wars of the past. Survivors of the 'old world' have fled to the underground. Food is scarce and it hasn't rained in a year. Bandi and Markus are brothers, and two of the youngsters tasked with scavenging the surface for food. The soldiers have always left the young ones alone, but things are getting desperate. Times are changing. After tragedy strikes, Bandi and Markus are alone. With only an elusive black panther to guide them, they set out in search of the sea, a sea that only Markus can remember. But they've been told the sea no longer exists and the path towards it seems impossible. It's a journey that will test their physical and spiritual selves, their beliefs and their brotherhood. As they venture on, they hope the panther that leads them is real, hope that at the end of it all they'll find safety beside the waves. But that's all they have - hope - and Death is everywhere. A broken smile twisted her features into something cruel. "I'm the one who's going to make your people pay for what you did." A Short Story for The BirdLife Campaign organized by Margaret Atwood and Wattpad. Dedicated to Forbes's Blackbird by Lilian Carmine. 2013. I know I may not live to the year 2114... Or maybe I could. A WW II veteran struggles with the aftermath of a false truth; a young girl prepares to sell her body to a passing stranger; an ancient trapper sniffs the path of the wolf; a deformed fish surfaces; a mysterious track is discovered on the shore of a northern lake. Nine Lies of B.G. Davies is a collection of short fiction featuring new original works as well as a few remastered drafts. Some stories were previously published outside of Wattpad, and reworked here for the Wattpad audience, some have appeared on Wattpad in earlier forms, and others have been running around the hard drive long enough. It's time to set them free. "Unknown Artist: Bicycle and Snow, 1941" was selected as the Grand Prize Winner of Wattpad's Literary Fiction Networks's competition "Winter." "The Brother Goes First" was the grand prize winner of Wattpad's Margaret Atwood The Heart Goes Last Competition. "Seduction in D Minor" was the first place winner of Wattpad Romance Love Me Tinder  Competition. "The Line in the Sand" is true.